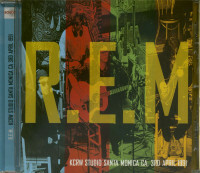 REM's promotional tour for their eighth album Out Of Time kicked off on 3rd March just a few days after Michael Stipe had finished producing Daisy Group's debut Hum Of Life at John Keane studios. Athens, DA. Exactly one month later the band are in the KCRW-FM studios in Santa Monica to perform an intimate session comprising of five tracks from Out Of Time whilst picking through a selection of obscure covers. They also searched their own back catalog with Swan Swan H and fall On Me (from the 1986 album life's Rich Pageant) and World leader Pretend (from 1988's Green album). The KCRW session shows the band in a relaxed mood sharing anecdotes and laughter with the in-terviewer absorbing Stipe's hilarious explanation for the titling of 'Swan Swan H. Considering this was at the beginning of their promotional tour and that the band were practically living together 24/7. as their tour schedules suggest. The band show that they are still able to relate on a real level and are also very much a relevant and hugely popular act who identify with people on so many levels. Echoes proudly present the entire KCRW broadcast from 3rd April 1991. 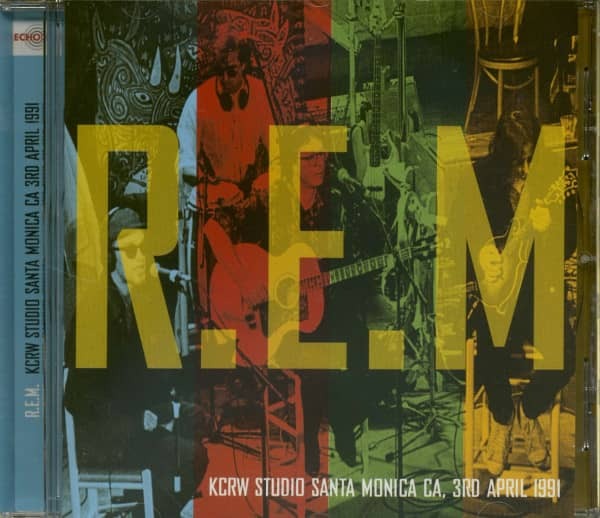 The KCRW session has always remained a firm favourite with fans over the years since its initial broadcast, offering a unique glimpse of the machinations within REM. Fully re-mastered with liners and photos. Customer evaluation for "KCRW Studio Santa Monica CA, 3rd April 1991 (CD)"